Dr. Harleen Quinzel became a psychologist to deal with her own broken family background. At Arkham Asylum, she attempted to treat the Joker and instead fell hopelessly in love with him, helping him escape. 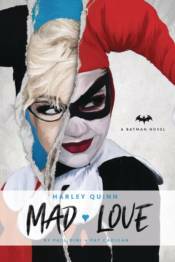 Quinzel became Harley Quinn, a bizarre contradiction of violence and mercy who blames Batman for her inability to maintain a stable relationship with the arch-villain.